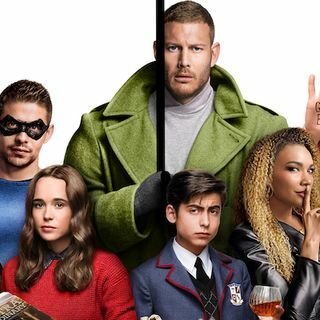 Jake + Mitch dive-in on whether or not THE UMBRELLA ACADEMY is primed to fill Netflix's comic series sized hole. If nothing else, TUA comes out the gate sprinting and is as much fun as it is visceral. - Will Pogo break bad? - What do we ... See More make of Grace "Mom"? - Does Vanya really have powers? So much to cover, and even more left to find out. Either way, THE UMBRELLA ACADEMY is here to stay, and we are glad for it. Give a listen, rate and review on iTunes!